Dr. Jennifer Rotstein started her career as a family doctor in 2004 and began practicing cosmetic medicine exclusively in 2006. She joined the Sherlase team in 2008. For over 12 years, she has worked with her patients to understand their aesthetic needs and desires, to educate them on the various non-surgical options available to help them achieve their goals, and to deliver beautiful, natural cosmetic results. 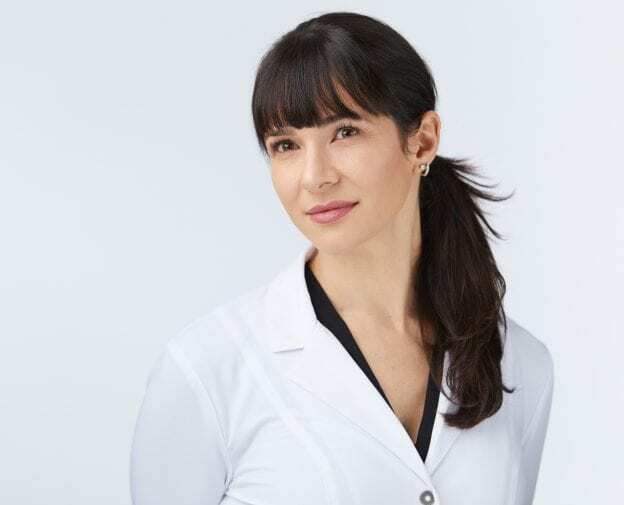 Often referred to by her patients as an “artist”, Dr. Rotstein has become one of the most sought-after injectors for Botox cosmetic and dermal fillers in Markham and the GTA because of her skill, expertise, and approachable, honest bedside manner. Her treatment plans are customized for each individual and she never injects for the sake of injecting. She is invited to and regularly attends the industry’s most prestigious conferences and seminars, including the world-renowned MD codes. Her commitment to continuing education in her field has helped her to hone her skills in the art of liquid facelifts and volume restoration. Dr. Rotstein and owner Sheri Kurtz share the same passion and philosophy about beauty and anti-aging…that is to safely and effectively blend the art and science of aesthetic medicine so that patients can become the best version of themselves! This entry was posted on December 15, 2015 by webee.